Section A covers the District's legal role in providing public education and the basic principles underlying school board governance. These policies provide a setting for all of the school board's other policies and regulations. Section B covers the school board - how it is elected; how it is organized; how it conducts meetings, and how the board operates. 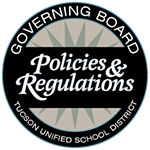 This section includes bylaws and policies establishing the board's internal operating procedures. Section C covers school management, administrative organization, and school building and department administration - including the administrative aspect of special programs and system wide reforms such as school - or site-based management. It also houses personnel policies for the superintendent and executive team. Section D covers school finances and the management of funds, material resources, purchasing and warehousing. Policies on the financing of school construction and renovation, however, are filed in Section F, Facilities Development. Section E covers non-instructional services and programs, particularly those on business management such as safety, building, and grounds management, office services, transportation, and food services. Section F covers facility planning, financing, construction and renovation. It also includes the topics of temporary facilities and school closings. Section G covers personnel policies for all school employees except for the superintendent and executive team. Section I covers the instructional program: basic curricular subjects; special programs, instructional resources, evaluation of programs, and academic achievement. Section J covers admissions, attendance, rights and responsibilities, conduct, discipline, health and welfare, and school-related activities. Section K covers parent and community involvement in schools. Statements on public sector relations with the District, except for policies concerning education agencies. Section L covers the District's relationship with other education agencies - including other school systems, regional or service districts, private schools, colleges and universities, education research organizations, and state and national education agencies.